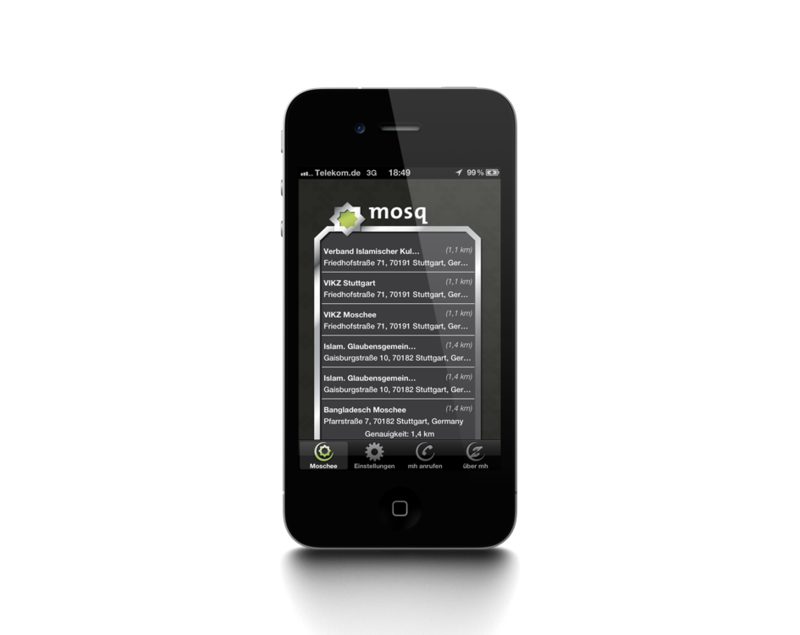 mosq helps muslims in Germany, Swiss and Austria to find the nearest mosque through providing GPS navigation. 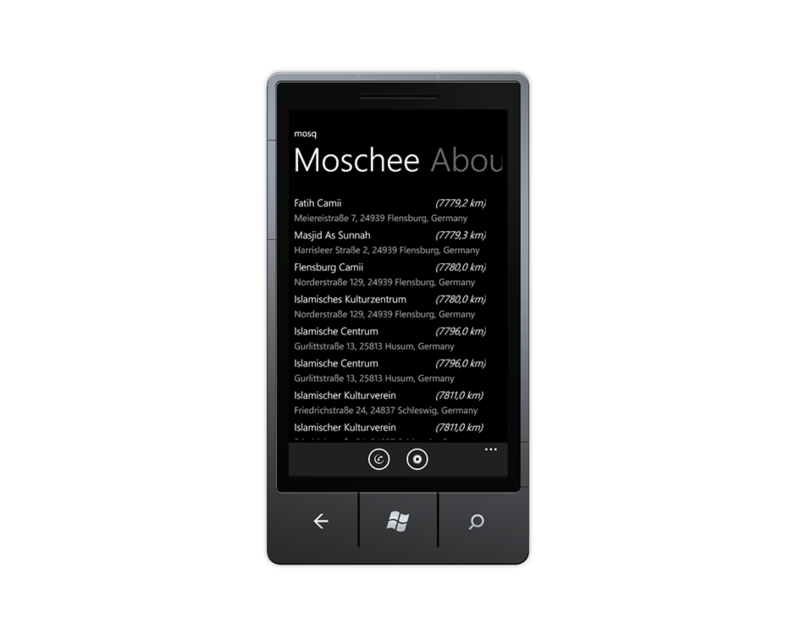 The app is available for iPhone, Android and Windows Phone. 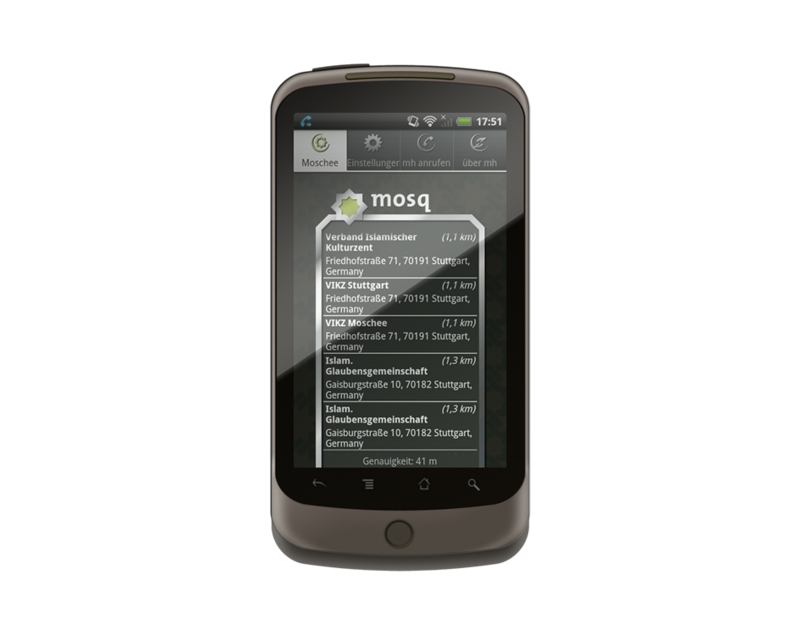 mosq is an idea of muslimehelfen e. V.